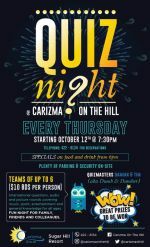 Every Thursday night, test your general knowledge Quiz Night at Carizma On The Hill. 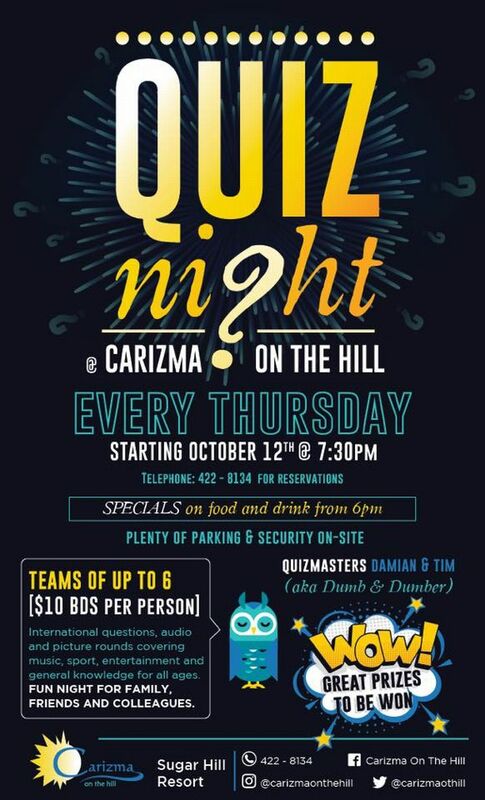 Quiz masters are Damien and Tim. Always includes a picture round and a audio round covering, international, general knowledge, music, sports, entertainment questions. Bds $10.00 per person; teams up to 6 persons.